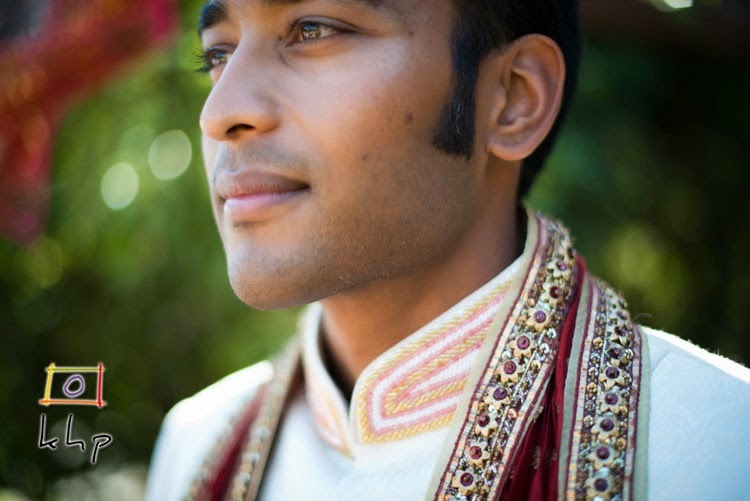 On a gorgeous, hot day in Burbank last month, I had the pleasure of documenting a lovely wedding. 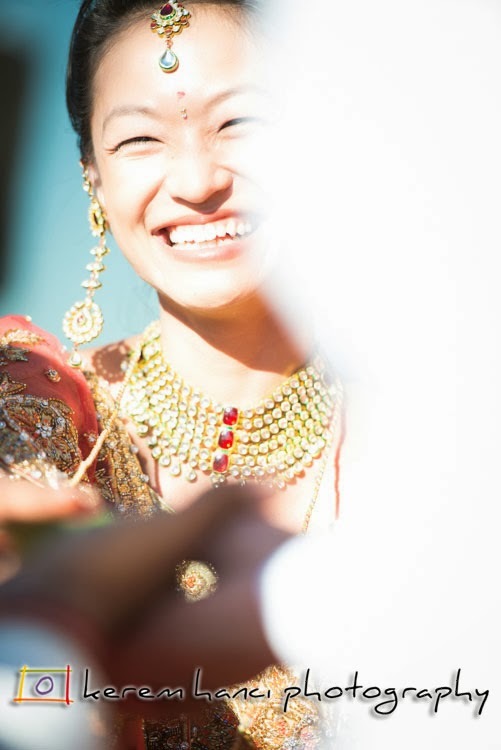 It was a beautiful Indian ceremony that united the lives of Chang and Mehul and also that fused two different cultures into one family. 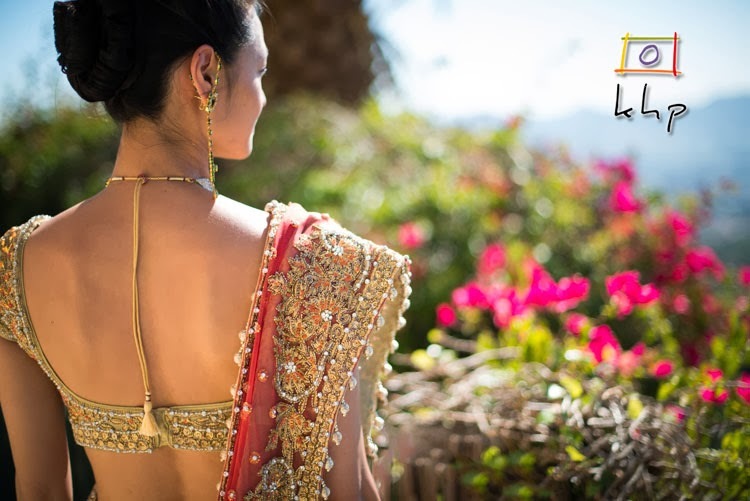 The traditional Indian wedding dresses are heavy. But I can tell you that they both carried their dresses incredibly well and gracefully. 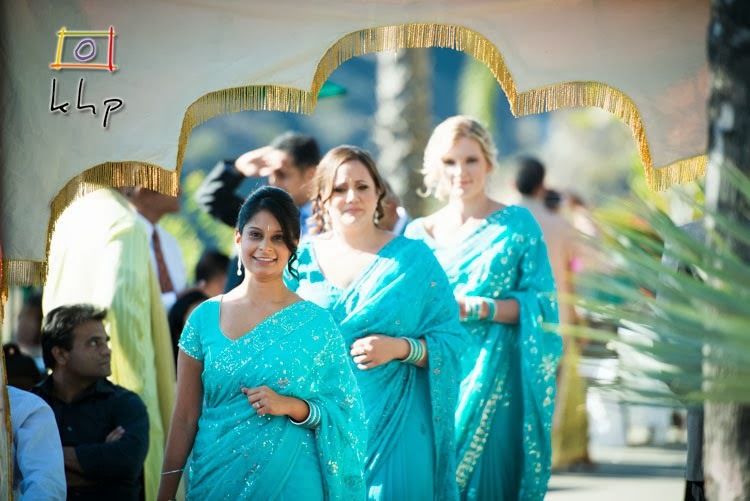 There are many aspects to the Indian wedding ceremonies. 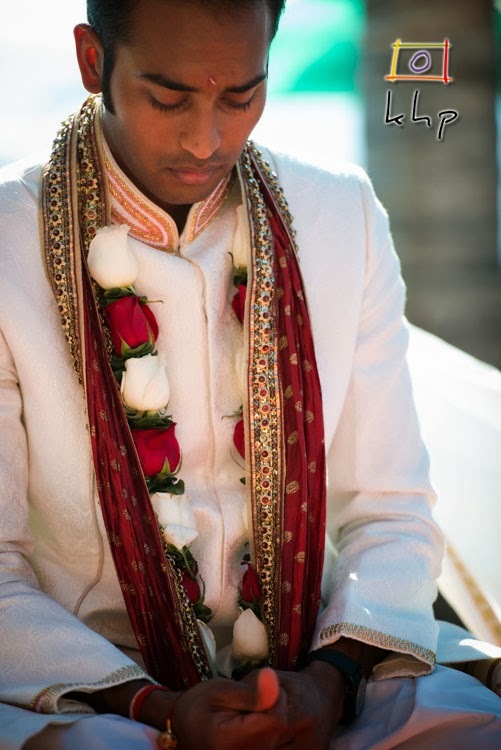 Here is Mehul, after being escorted to the Mandap, during the Ganesh Prayer invoking Lord Ganesh to remove the obstacles and to bring prosperity to the couple's life. 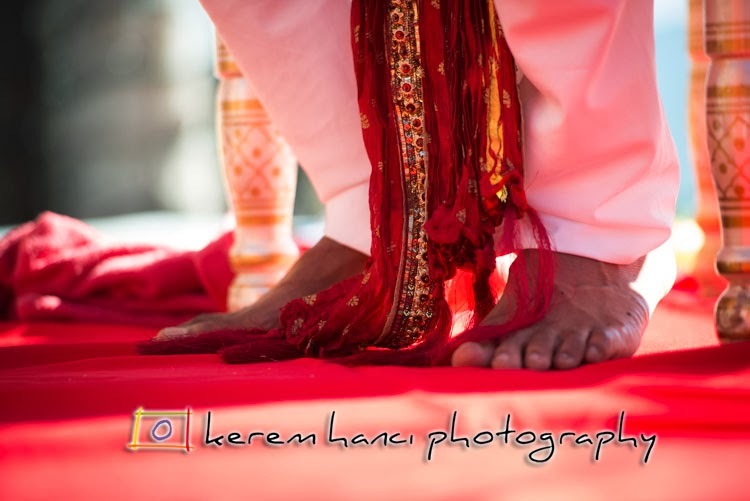 And yes, you need to remove your shoes before walking to the Mandap. 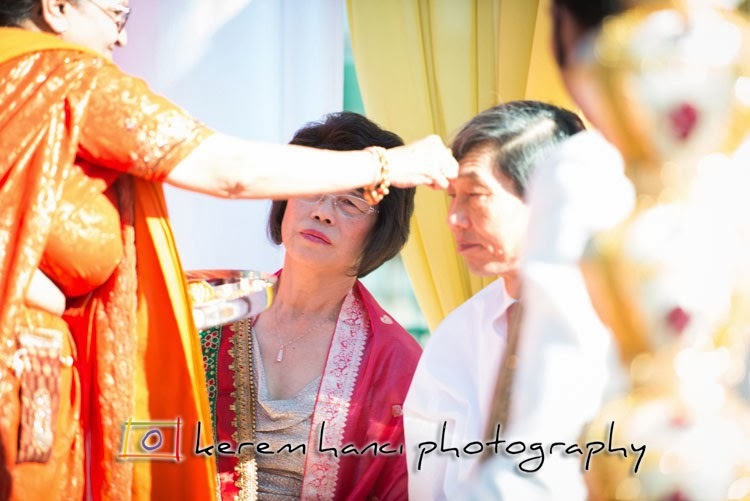 The priestess, placing kumkum on Chang's parents' foreheads. Kumkum is the sacred red power signifying good luck. Here are a couple of frames from the Hasta Melap (Joining of Hands). In this part of the ceremony, the bride's parents take her right hand and put it on the groom's hand. 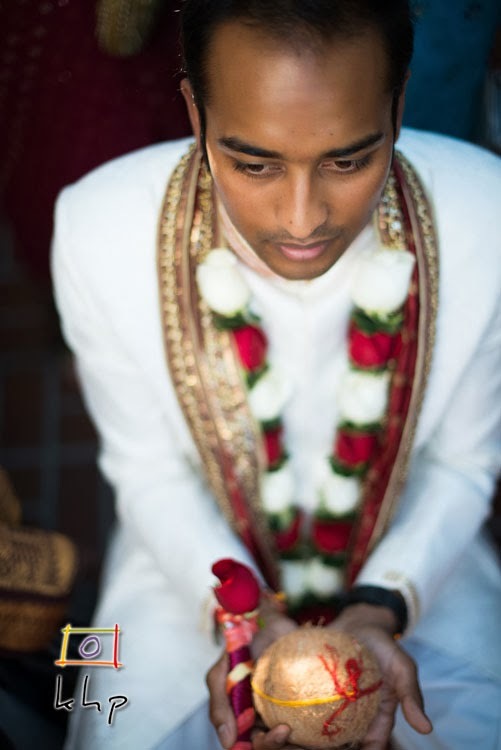 The gesture symbolizes the groom's acceptance of the bride in marriage and his responsibility to take care of and provide for her. 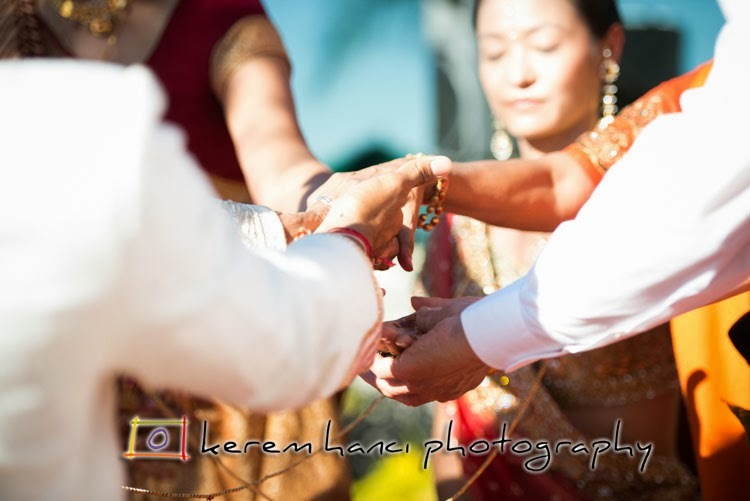 Following Granhi Bhandan (Binding of the Couple) where the bride and the groom are connected to each other with a piece of cloth tied in a knot that symbolizes the strength of their relationship, Mangal Fera, or Circling the Holy Fire, takes place. 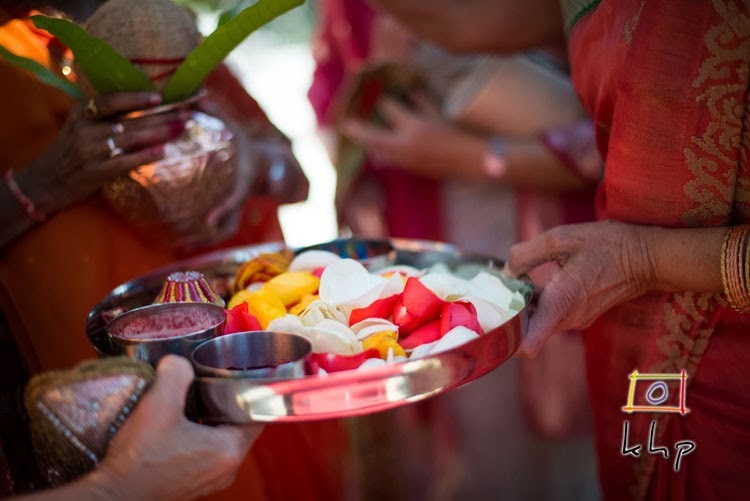 Chang and Mehul make an offering of rice, ghee and flowers to the fire. 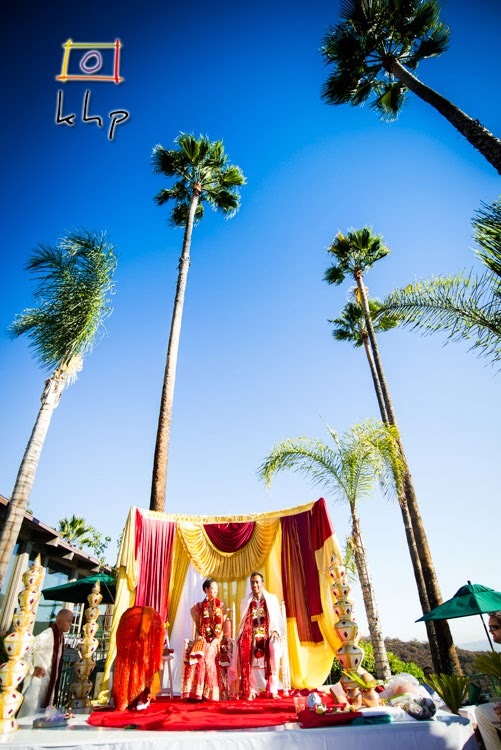 This act symbolizes the eternal witness to their marriage as well as light, warmth and wisdom. The picture is of the offerings. 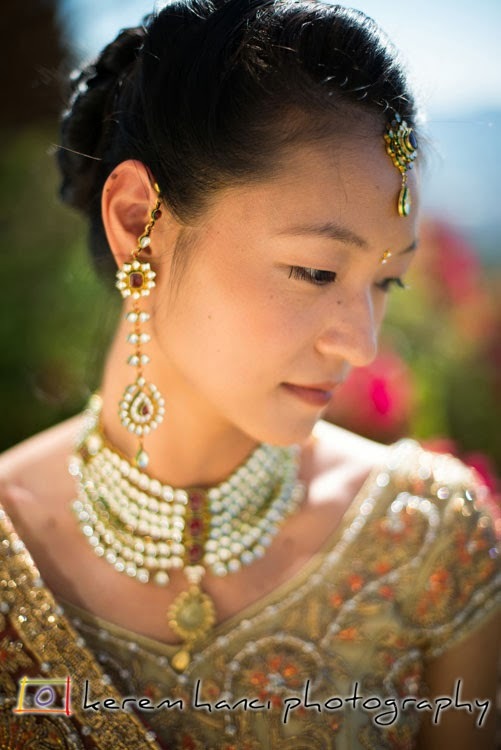 I had an absolute blast during your wedding Chang and Mehul. I wish you a healthy and prosperous life together!